Winter is here and that means we’ll soon enjoy sledding, furry boots, and snowmen. Unfortunately, the cold weather also brings shoveling, icy roads, and frostbitten fingers. There is nothing like a cup of hot cocoa after a cold winter day to help me unwind. 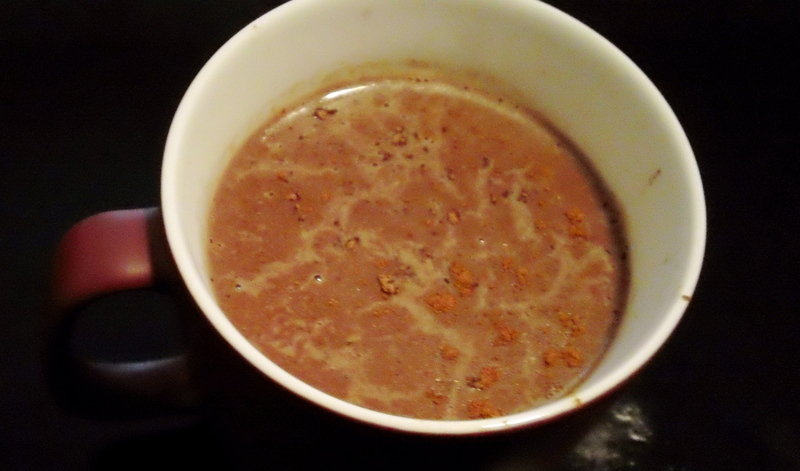 Not only does it warm me up but the right kind of cocoa is a natural pick-me-up too! 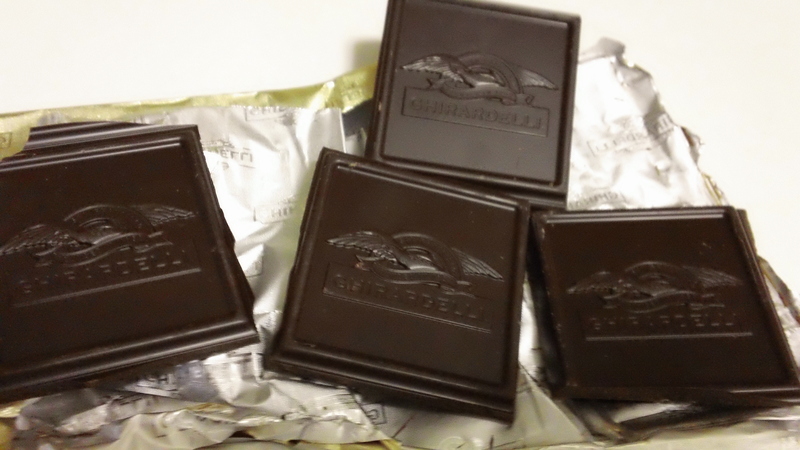 Dark chocolate is rich in serotonin, a natural anti-depressant, and also releases endorphins which will leave you feeling warm and tingly. It’s also packed with vitamins, minerals, and antioxidants to help lower blood pressure and protect from heart disease. 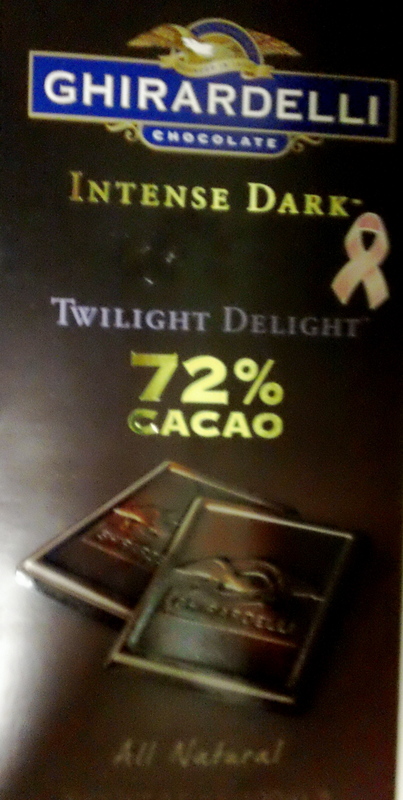 You want to choose a dark chocolate with a high cacao percentage (greater than 70%) that hasn’t been alkalized or Dutch-processed in order to benefit from the rich antioxidants. Enjoy in moderation as it’s still high in calories: a few squares a day is a great snack. 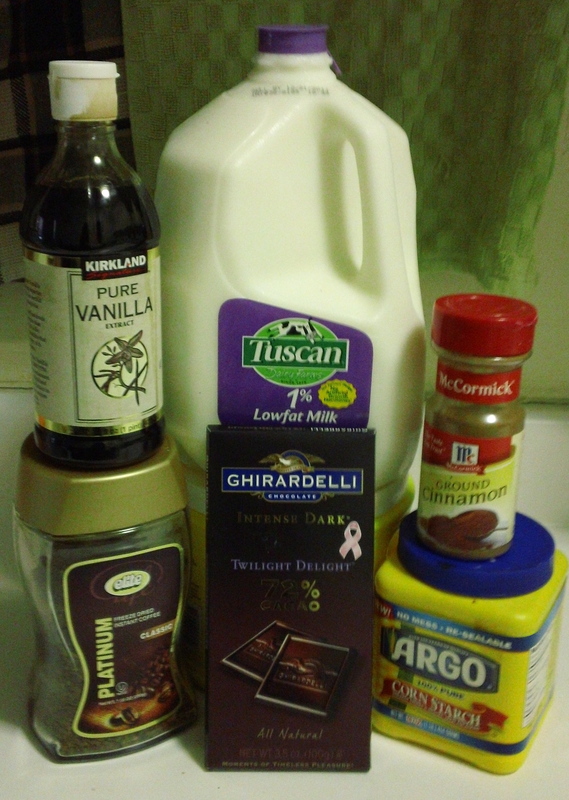 For this flavorful hot cocoa, I used Ghirardelli Twilight Delight Dark Chocolate. It truly lent a rich flavor to the end result. I place the squares of chocolate in a plastic bag and crushed it with a kitchen mallet, but you can use a regular hammer too. I put all the ingredients except the cornstarch into a small saucepan and whisked the ingredients together. 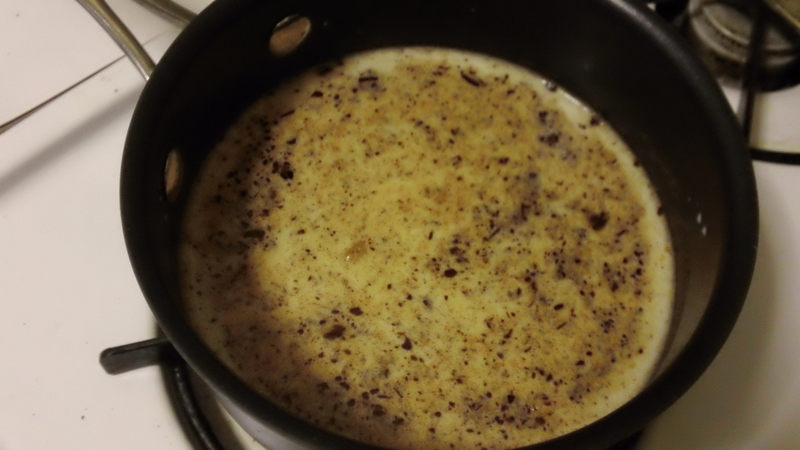 I whisked frequently until all the chocolate melted and the milk turned a rich brown color. Then I added the dissolved cornstarch until well blended. 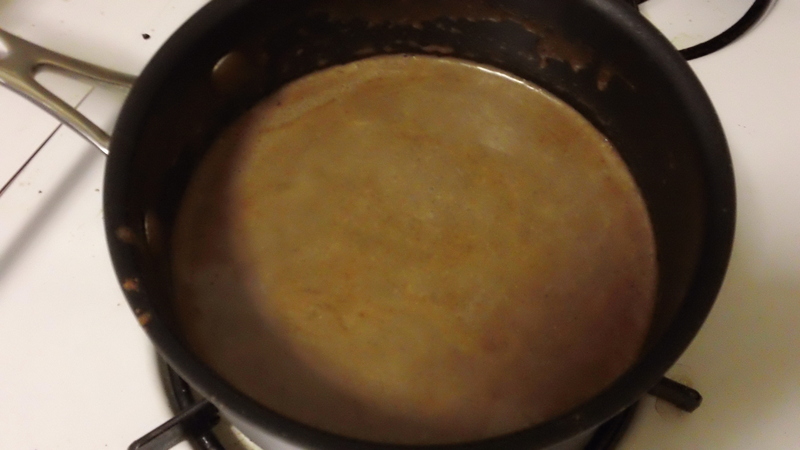 I let the hot chocolate simmer for 5 minutes, which thickened it up nicely. 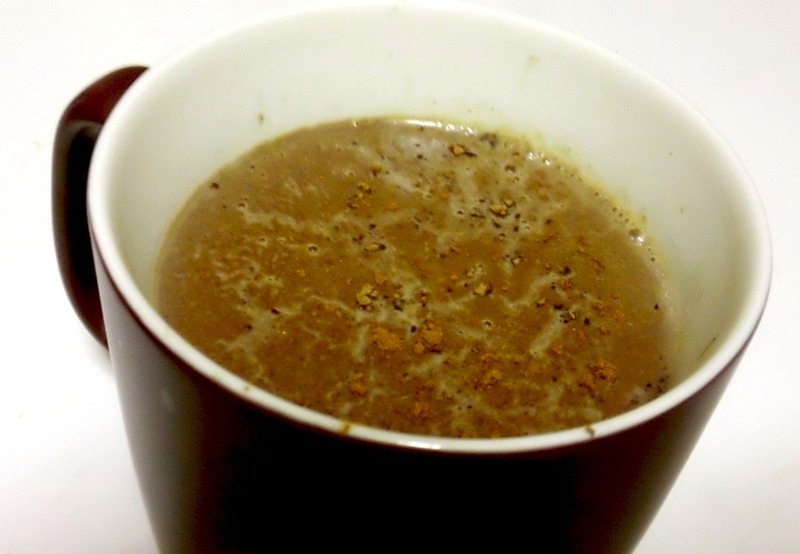 Serve in mugs and sprinkle with cocoa powder and cinnamon for a hot spiced treat! For more nutritional information about chocolate, check out my chocolate blog post on A Slice of Nutrition. 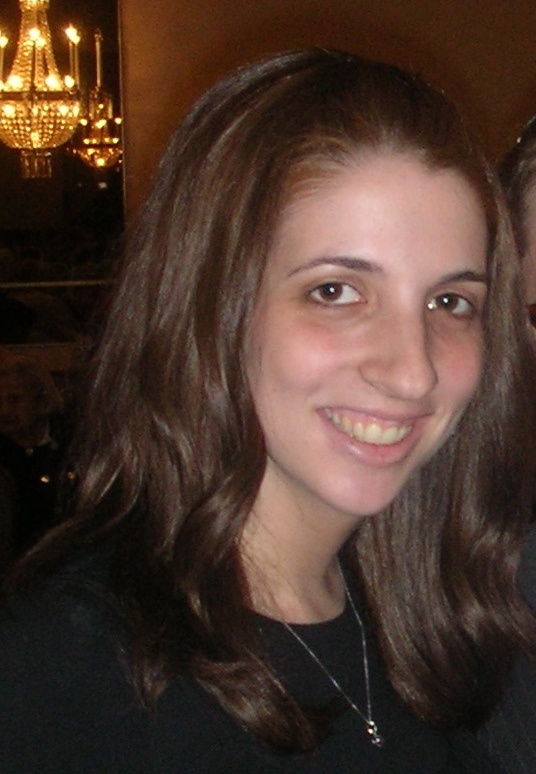 Avital Greenbaum is a Registered Dietitian with a BS in Nutritional Science. She has worked for 2 years in a hospital setting where she provided nutritional counseling to a broad range of patients. She started her nutrition blog because she loves educating the public on how to make healthy eating a part of their lives. She also likes coming up with original nutritious recipes for her family and friends.